Are there nail polishes out there that you’re surprised you don’t own? Like those cult classics that are a part of permanent collections that everyone raves about? I can’t tell you the number of times that people have commented on either my videos or on blog posts and say something about a polish, and then say “I bet you know, since you already own that polish.” There are so many cult favorites that I don’t own that it blows my mind sometimes! For example, China Glaze’s “Ruby Red Pump” and “Watermelon Rind.” Or Essie’s “Marshmallow” and “Mink Muffs” (or “Chinchilly”). This was one of those polishes! Believe it or not, I’ve worn this polish before but never owned it. 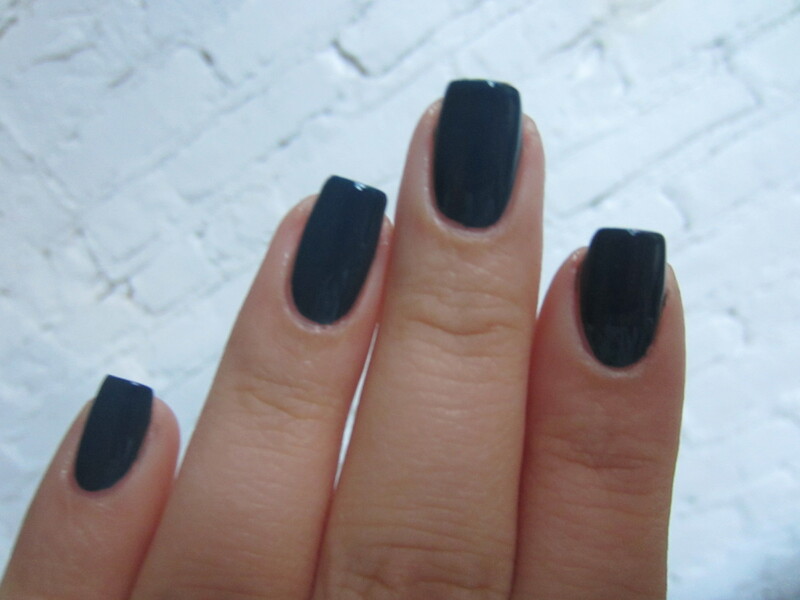 I painted my nails this color at my friends house one night, and remembered loving it. Why it took me 2 years to actually buy it, I could never explain myself! OPI “Ski Teal We Drop” is a deeply saturated teal creme polish. This came out in the Swiss collection in the fall of 2010. That’s 3 fall collections ago! Yeah I’m extremely late picking this polish up. But better late than never in this case. The formula on this polish was perfect. Completely opaque in 2 coats that are the perfect goldilocks consistency (not to thick,not to thin, just right in the middle). It dried quickly and glossy. I also got a lot of wear out of this polish. This was my second day manicure, and as you can tell there is no tip wear at all. I am embarrassed and ashamed that it took me this long to pick up this cult classic, and now understand why so many people include it in their favorite polishes! What do you guys think of this polish? Do any of you own it? ← How To Fix a Broken Blush! yep! i couldn’t believe that i hadn’t gotten it yet! This one is on my ‘wishlist’ @ Eb*y… 😀 It’s really gorgeous! Love it! I don’t care if a polish belongs to a collection from way back. If you love it, you just do… even if it’s antique! I sure do love ‘old’ polishes. same here! i don’t care how old a polish is, if its pretty and you’d wear it then its definitely worth it. I have Ski teal we drop too – I love that colour. Is the first picture also the same colour – it looks a lot lighter? Another blue I like is Suzi says Feng Shui – also from OPI. Its a lighter blue.